Saturday’ Something for July 12, 2014. Hey you guys! Happy Saturday! Welcome to tho week’s edition of Saturday’s Something, my time to share a glimpse into life outside of the kitchen. 1. 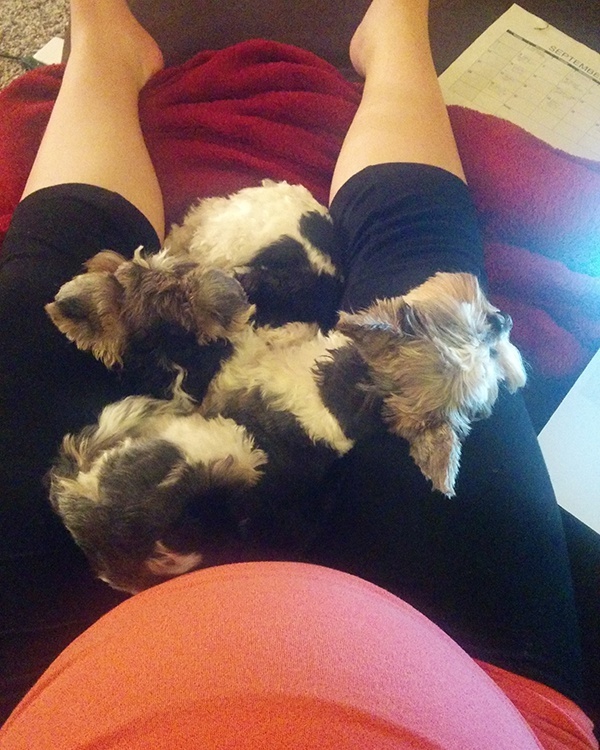 Five more weeks until Baby Boy’s due date! How is that even possible? On the agenda this weekend? Pack a hospital bag. His room is just about done and we’ve got clothes coming out of our ears for him. Ryan’s Mom is the garage sale queen and found all kinds of clothes for him. 2. Guess who is celebrating their 11th wedding anniversary today? Yup… Ryan and I! Again… how is that even possible? As you can imagine, anniversaries will forever be just a little more special, a little more meaningful since cancer entered our lives. 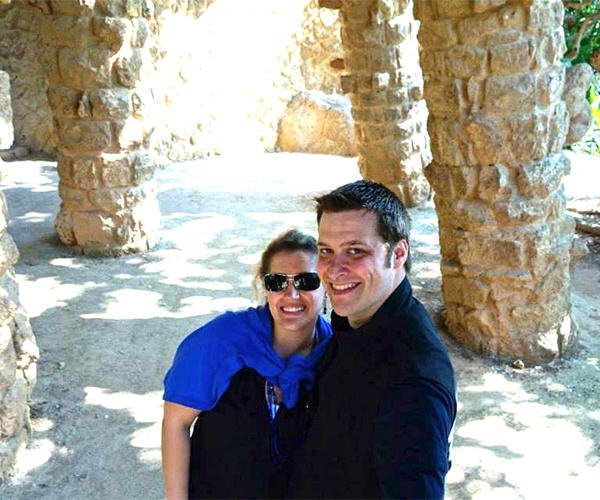 Here’s a throwback photo from last year when we went to Paris and Barcelona to celebrate our 10th anniversary. 3. Speaking of cancer… Ryan just finished another round of chemo this week. Next week he goes for a scan to see if the new chemo is working. We are hoping and praying and praying some more that the new drugs are working. Aside from a few rough days after chemo, Ryan is doing great which always makes it hard to believe that he has stage 4 colon cancer. 5. 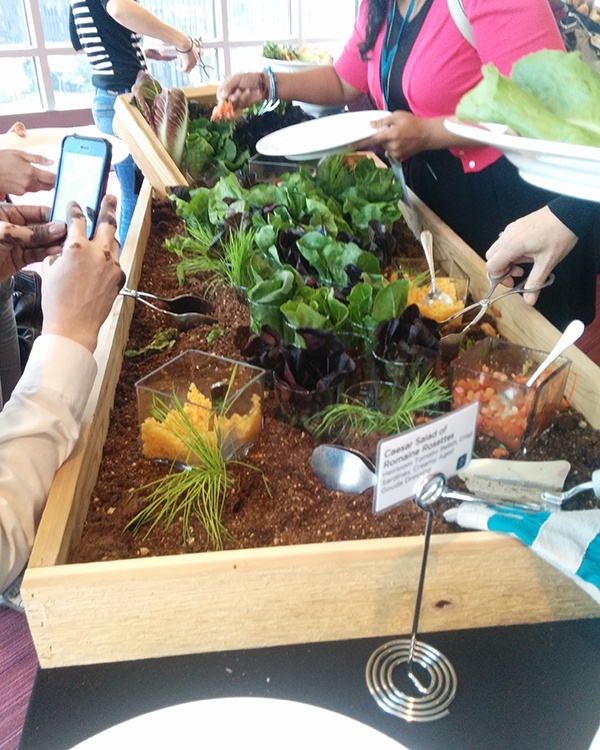 A couple of weeks ago I went to a food blogging conference called TechMunch and Wolfgang Puck catered the lunch. Everything was super impressive but I especially loved the presentation for the caesar salad. They made it look like it was a garden bed, so fun! 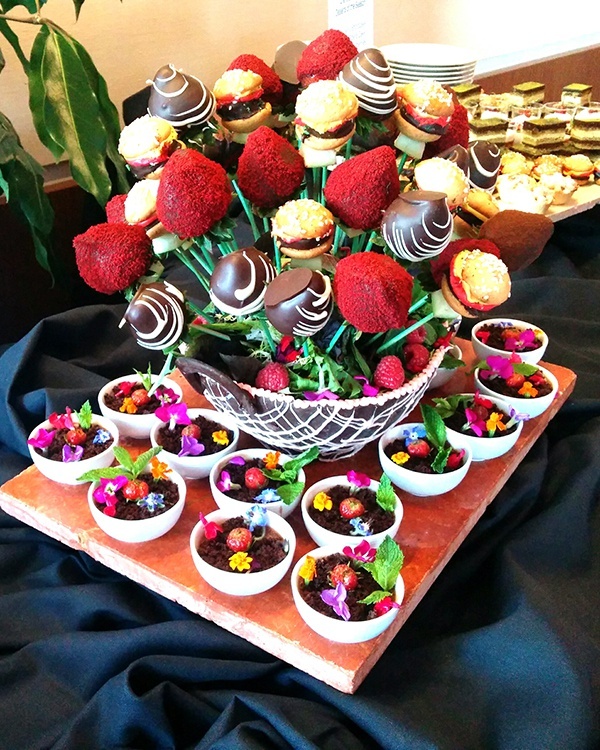 The dessert presentation was pretty darn amazing too. 6. I can never get sick of Chicago on a gorgeous day! 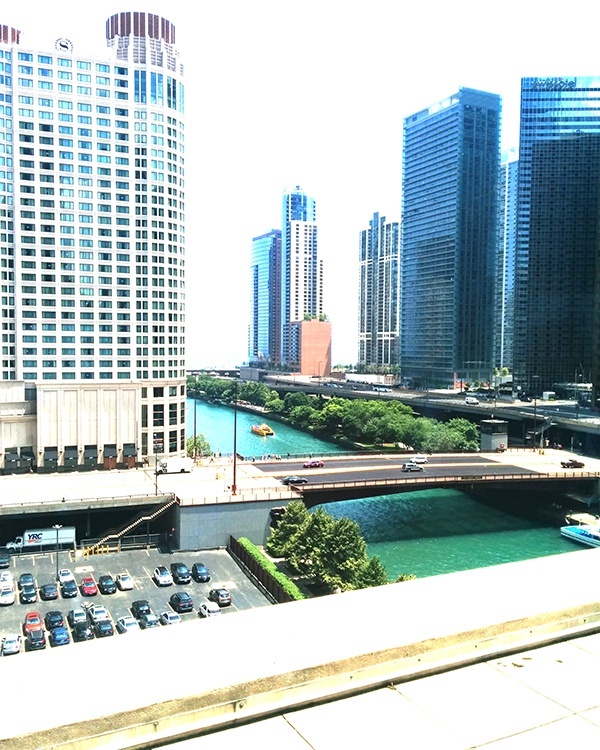 This was the view from lunch at the TechMunch conference. 7. 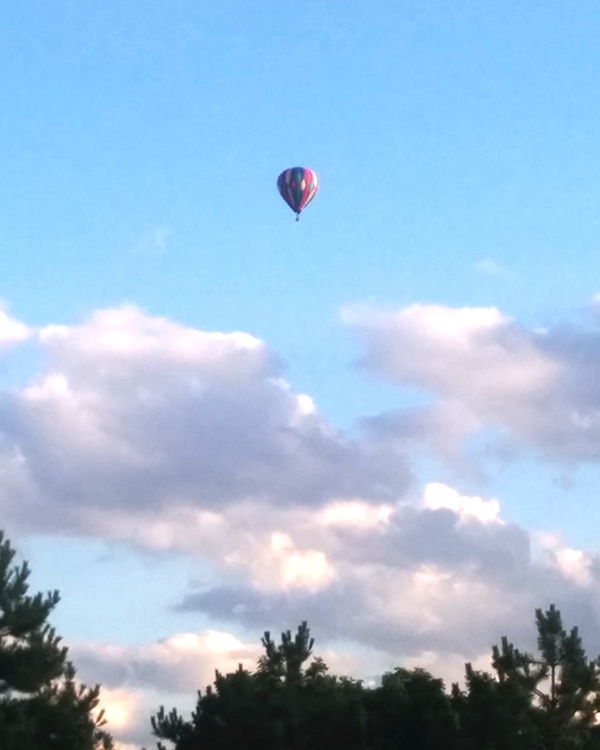 It’s not that often that I see a hot air balloon up in the sky! Has anyone ever taken a hot air balloon ride before? 8. If you are a dog lover, read this, but be prepared to shed a few tears (or completely bawl your eyes out). It is one of those stories that will tug at your heart, and it’s written from the dog’s perspective. 9. That’s all for today! This summer is flying by. What have you been up to so far? How was your 4th of July? PS: Don’t forget that you can sign up for free email updates so that you never miss a new recipe! Click here, all you need is an email address.